Flotilla: Made a great start last week. 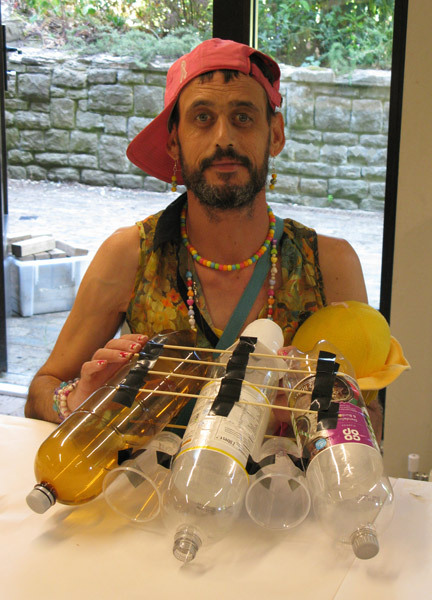 Russell Jakubowski worked with two of the DAISY (Disability Arts In Surrey) groups (Surrey Choices and the Orpheus Centre) creating Dream-craft for the Flotilla exhibition. Pictured here is the first stage of a model craft designed to take water to wherever it’s needed. Part of our Flotilla, a craft to carry water to where it’s needed. Some fantastic additions to our Flotilla. 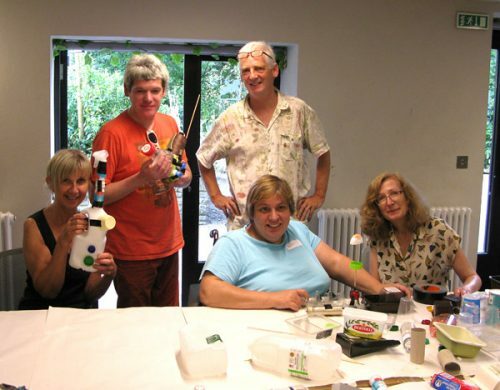 At the end of a creative day at Watts gallery DAISY artists from the Freewheelers group pose with their models, among the craft we have started are the ‘Greed Gobbler’ and the ‘Happiness Sprayer’. 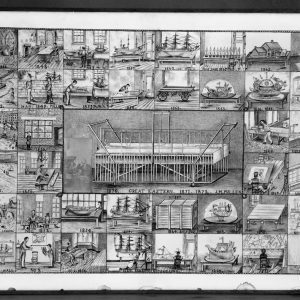 The skills we need to build our Flotilla. 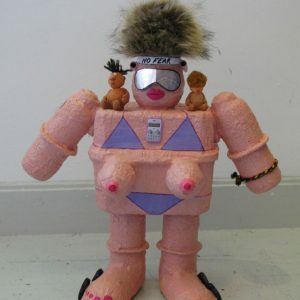 A photo of of Stewart from Surrey Choices, seen here getting in some practice using Modrock. We spent a lovely morning at Watts Gallery looking at the James Henry Pullen exhibition. Followed by a workshop with Russell Jakubowski building Dream-craft inspired by Pullens models.